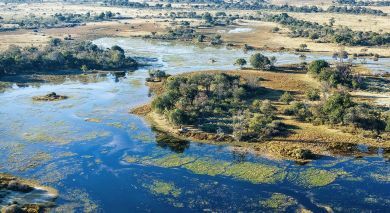 Stanley’s Camp is situated on a 260,000 acre private concession in the Okavango Delta, bordering the southern section of Moremi Game Reserve. 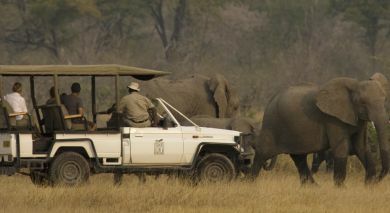 The camp is situated in an exclusive community area and works with the local community creating an awareness and commitment to conservation, whilst offering a wealth of wildlife activities. Guest accommodation consists of eight elegantly styled safari tents. The comfortable spacious tents exude classic Africa; handcrafted beds dressed with the finest linen, antique furniture individually selected and oriental carpets that transport you to early 19th century Africa. Each unit offers an en suite bathroom and a private balcony. Hammocks and Morris chairs on the balcony are perfect for relaxation in the African sunshine. Stanley’s main lodge is on raised decking with expansive views over the surrounding floodplains and has been carefully blended into the existing tree line, its main support being a large sausage tree. 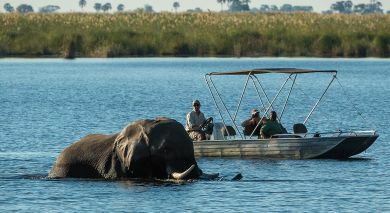 The camp offers a wide variety of game viewing in the Okavango Delta, exploring a variety of habitats. Guests can enjoy game drives in open sided safari vehicles, including night drives and walking safaris with an armed professional guide. 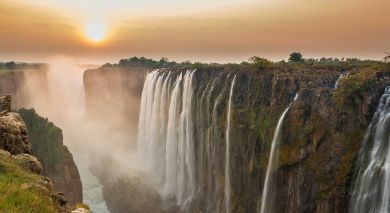 Seasonal mokoro excursions are taken from the lodge, a serene and tranquil experience.